Home » Linen, Facilities, and Uniform Services Blog » Hospital Services » Defining Hazardous Healthcare Laundry: When Do Linens and Uniforms Require Special Care? Defining Hazardous Healthcare Laundry: When Do Linens and Uniforms Require Special Care? Compared to other industries, the workplace hazards in healthcare present threats that demand a carefully managed and strictly regulated laundering process for the medical uniforms and linens used by staff and and patients each day. With the potential for materials to be exposed to infectious illnesses and other dangerous contaminants in environments ranging from research labs to surgical procedures and simple patient care, it’s essential that healthcare providers ensure their hazardous laundry is handled with care to avoid steep fines and potentially irreversible damages to reputations. Although recognizing the importance of special care for contaminated medical laundry is a step in the right direction, the question to first ask is what exactly constitutes hazardous laundry. Taking a closer look at healthcare uniforms and linens today, this article provides hospitals and medical practices a clear-cut definition for when medical laundry is considered hazardous. Like uniforms worn by restaurant servers and linens like tablecloths and napkins, the healthcare industry also has specific uniforms which are worn by hospital staff and linens that are needed in each room during a patient’s stay. 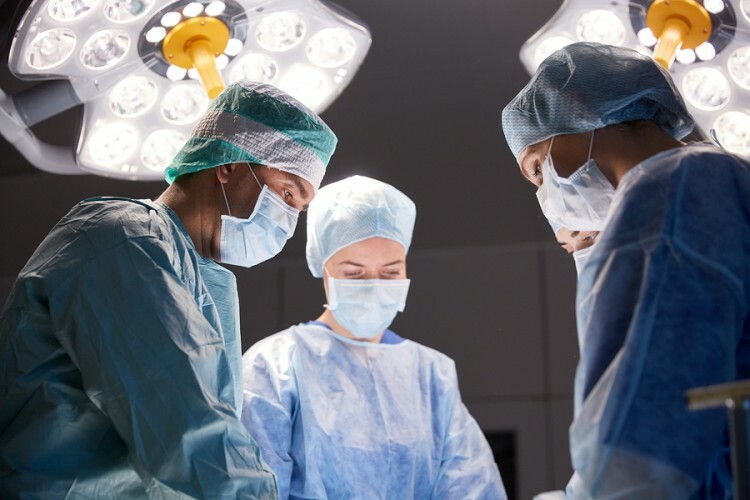 While restaurants often select materials on the basis of the presentation they offer, healthcare uniforms and linens like surgical masks, protective gloves, towels, and hospital bedding provide purposes more aligned with protection and patient care. What Specifically Makes Medical Laundry Hazardous? Rather than cleaning food stains from a dirtied food service uniform, medical uniforms and linens can come in contact with infectious materials which have potential to be far more threatening than just an unprofessional appearance. Although all soiled medical linens and uniforms which have been used in workspaces where these contaminants are present have the chance of capturing and transferring an infectious illness via linens, uniforms, or any individuals at risk of contracting them, not every uniform or linen used in medical environments is designated as hazardous or requires special care. To provide a clear-cut answer to when exactly medical laundry is considered hazardous and when it can be treated and laundered normally, the Bloodborne Pathogen Standard laid out by Occupational Safety and Health Administration (OSHA) specifically defines what contaminated laundry is, as well as the proper means of handling these materials. According to the Bloodborne Pathogen Standard’s definitions, contaminated laundry is specifically defined as any medical uniforms or linens which have been soiled by blood, or other potentially infectious materials (OPIMs). Including a wide range of human body fluids, unfixed human tissues and organs, as well as any cells or tissues containing HIV or HBV, definitions section 1910.1030(b) of the Bloodborne Pathogens Standard clearly outlines the exact contaminants that are designated as hazardous and thereby require special care during the laundering and cleaning process. 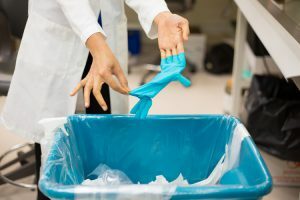 When laundering contaminated medical uniforms and linens, healthcare providers should follow washer and detergent manufacturer recommended laundry cycles, and always ensure they place contaminated uniforms in linens in marked and leak-proof medical containers or bins for transporting the materials for laundering. Additionally, if there ever is hazardous medical laundry in patient rooms or surgery suites, it should never be sorted or rinsed at the immediate location, and should be agitated and handled as little as possible to prevent further transmission of contaminants. Searching for Reliable Medical Laundry Services? Get No-Obligation Quotes from Top Providers Near You! With workplace hazards including bloodborne illnesses, infectious bacterias, and other dangerous contaminants, medical uniforms and linens don’t just collect food or grease stains like other industry materials. At Uniform Nations however, we partner with the top providers in laundering services for medical uniforms and linens, offering healthcare providers all the convenience of fully sanitized linens and uniforms delivered to their curbside, but without needing them to sacrifice the peace of mind their materials will be properly handled. To learn more about laundry services for the healthcare industry or to get a free estimate, just give us a call today at (866) 467-4178, or simply fill out the form to the right of your screen to get free quotes on laundry services for your practices and facilities today. The complexity of laundering needs in healthcare often leaves providers limited to more expensive in-house options for cleaning their materials. With this in-depth white paper, we outline the laundry needs for healthcare providers, covering both common uniforms and linen used, as well as their cleaning requirements and top strategies for managing these needs. Although washcloths and bedsheets are also a necessary linen for hospitality, the sheets, towels, and other linens used by healthcare providers stand alone in terms of the cleaning standards they require. Here we summarize both the types of linens used in healthcare today, as well as the top strategies for managing linens in the medical industry. Safety and sanitation needs for laundering medical linens and uniforms are entirely unique to healthcare due to the contaminants and potential risks of spreading infectious illnesses. Here you can find a quick and easy breakdown on healthcare linen protocols with the help of an infographic to outline everything you need to know.